I was stationed to work as a Park Ranger at Sleeping Bear Dunes National Lakeshore from 1984—2005. During that time I was lucky to have the chance to get to know most of the folks around Port Oneida, the lakeside farming community within the park. I first started taping some of their recollections in 1992, when Laura Basch happily filled some 14 hours of tape with her encyclopedic knowledge of Port Oneida goings-on, gained from a lifetime near the top of Basch Road. Since that time many others have shared stories, photos, documents, and whatever else might serve to give the rest of us some idea of how their community worked. They are also being preserved and are available for public use at the University of Michigan’s Bentley Historical Library in Ann Arbor, and at the Glen Lake Library in Empire. 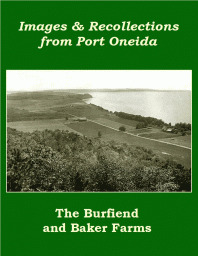 Fortunately, throughout his 92 years Jack Barratt gave generously of his wide-ranging knowledge of Port Oneida ways. 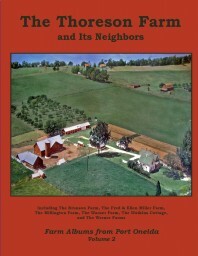 This first volume in the Farm Albums from Port Oneida series is based on oral histories and family photos donated by Jack, his wife Lucille, and his cousin George Burfiend. More information & to purchase…. Although the major focus of this series is the Port Oneida area of Sleeping Bear Dunes National Lakeshore, this one centers on the nearby village of Burdickville (my home). 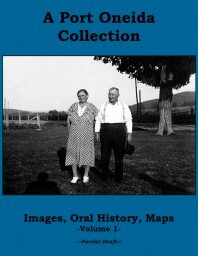 Dottie Lanham, a fourth-generation citizen of Burdickville, donated use of her collection of historic photographs, and spent many hours providing associated oral history information. Dottie Lanham of Burdickville presents some of those photographs, accompanied by notes drawn from her interviews. 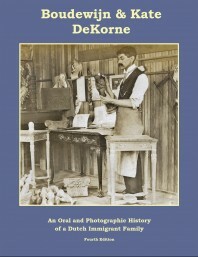 There are also some images, interview excerpts, and information from some of Dottie’s neighbors. 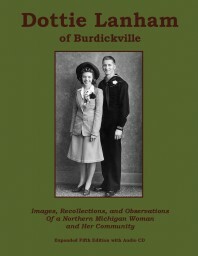 One more Burdickville book—A 40-page collection of photographs and related information about the beginnings of this family in America, and their lives in Grand Rapids, Michigan and at Glen Lake. This is an expanded fourth edition. 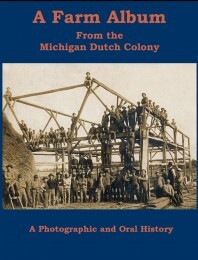 The story of the community of Netherlanders who came to Western Michigan during the mid–1800s—their background in Europe preceding the wave of emigration; the journey to America; the terribly difficult early pioneering years; and life during the decades that followed. Sand Hill Nature Education: My wife Alice's site, which includes great information on Sleeping Bear area phenology--signs of the seasons, etc.